The Marvelous Designer Steam Version is offered in the Steam store with what seems like a great discount but is it for anyone or just for Steam users? Find out about this and more in our Review of Marvelous Designer on Steam for Steam. The Marvelous Designer price for personal perpetual license is $550 on their website. On Steam you can now get Marvelous Designer for only $320. 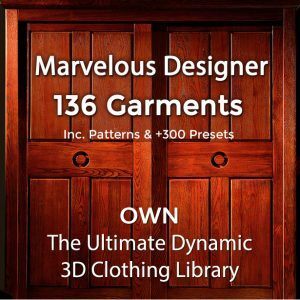 Marvelous Designer 6 For Steam has a nice discount off the regular price but comes with special terms you fully need to understand prior to purchasing Marvelous designer on Steam. Does Marvelous Designer On Steam Offer the Same Features? Basically, the Steam version of the Marvelous Designer software has the same features as the normal Windows version of the Marvelous Designer software. The Steam version seems to have an always-on DRM (persistent online authentication). This could end up being troublesome if Steam servers have small outages during the day or you are using a wireless connection without constant stable internet. Marvelous Designer will break or crash in such occasions. 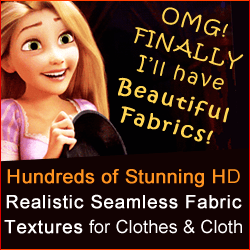 Be wary and save the MD garments you create very often if you use Marvelous Designer on Steam. If you have Marvelous Designer 6 personal for Steam you’ll need to purchase a new version of MD for Steam (when it comes out), since upgrades aren’t available with the Steam version application. Patches and minor updates are provided free of charge with a Steam Perpetual license. However, if you buy directly from the Marvelous Designer website, you can get a Marvelous Designer special upgrade discount if you already own a previous version of MD. This is perhaps the main reason why the Marvelous Designer Steam version is cheaper than the version on their site. So is this worth the current $40 (for yearly) or $220 (for perpetual) difference? You can use the Steam version of Marvelous Designer in a one man company but not for bigger companies and not for commercial projects. In other words, this Marvelous Designer for Steam license is a Marvelous Designer perpetual personal license, meant for either hobbyists or “one man show” type of company/business incorporations or for non-incorporated freelancers. Not 100% clear in the complex and changing EULA legal doc what happens if you, as a game developer, used Marvelous Designer for Steam on Steam and made a game you one day monetize, but had not the correct license at the time of production of the game or work as a freelancer for a game company who uses your creations in their game, as example, which likely may categorize your work as commercial, not personal. Would legal responsibility be upon your shoulders or those of the employer or customer? Do you even need to worry about it? 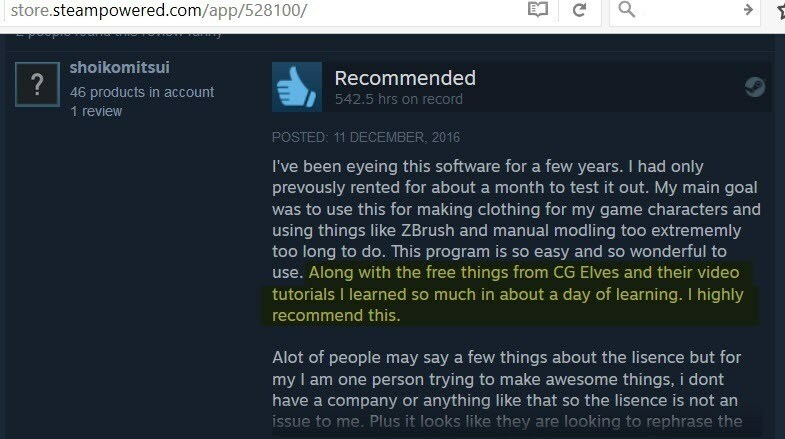 This example review was taken from the Marvelous Designer Steam product reviews.